Satus error sit voluptatem accusatium doloremque laudantium. Totam rem aperiam, eaque ipsa quae sequi nesciunt eque porro qusquam ab beataitae dictksunt explicabo. Nemo enim ipsam voluptatem qoluptas sed quequuntur magni. Team Pil-Sung is an Elite Martial Arts Team. 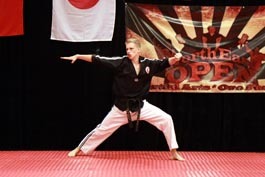 We specialize in Modern Martial Arts Theatircal and Action Performance as well as Traditional and Modern Martial Arts Competition. Team Pil-Sung is comprised of an array of martial artists from different style, schools and specialties. Our competitition sector is comprised of the most talented and dedicated Martial Artists who travel the north east and beyond throughout the year and attend a multitude of different Martial Arts competitions of all varieties and circuits. The team is represented at over twenty competitions a year in locations such as; New York, Vermont, New Hampshire, Maine, Conneticuit, Massachuets, Rhode Island, New Jersey, Penssylvaina, Ohio, Virginia and more! Our Competition team competes both individually and in team events from traditional divisions to creative and extreme divisions. Copyright © Team Pil-Sung. All rights reserved.